i ave worn this item since the 80s and they are still just as good as ever comfortable to wear and a good all round fit. 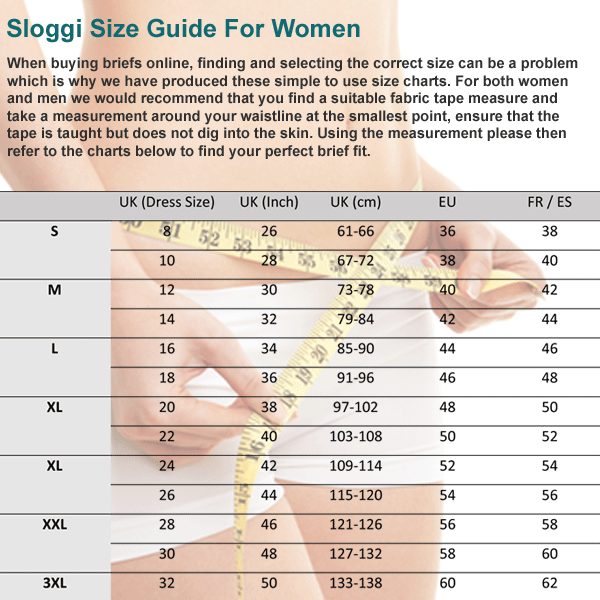 Would buy Sloggi underwear again from these people. needed this item urgently, not for myself. phoned up order, service great. Lovely comfy underwear - washes and wears well; I only ever buy these items. Company good to deal with - keep you informed about progress of your order.